Belgian GP F1 Strategy Report Podcast – our host Michael Lamonato is joined by Phil Horton from Motorsport Week. 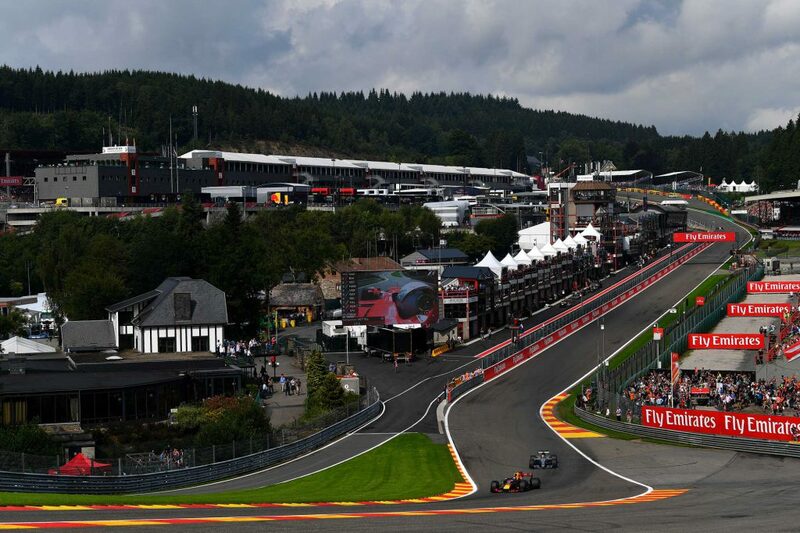 Formula 1 returned to action at Spa-Francorchamps after the seemingly never-ending summer break, and the iconic track hosted another action-packed and exciting race. Lewis Hamilton started from P1 on the grid after smashing the lap record and matching Michael Schumacher’s all-time pole position record of 68, looking in command throughout the race. 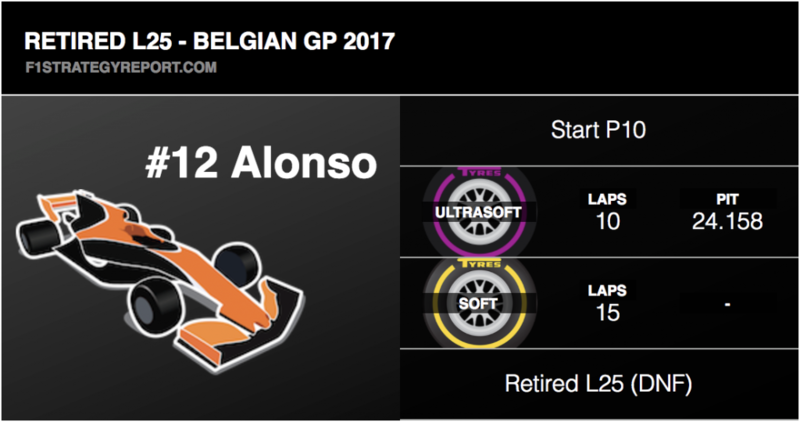 He withstood pressure from title rival Sebastian Vettel and negotiated a safety car restart well to hold onto first place and pick up his third Belgian Grand Prix victory, as well as his fifth of the season. Vettel picked up second place, his championship lead being cut to seven points, with Red Bull’s Daniel Ricciardo making a late charge to third – ahead of Kimi Raikkonen and Valtteri Bottas. Interestingly, race leader Hamilton was the first of the frontrunners to pit for a fresh set of tyres, diving into his box on lap 12 and going for the soft tyres. It was a lightning-quick stop of 2.3 seconds. Ferrari kept Vettel out two laps longer to try the overcut, feeling his tyres and pace were good enough to continue. 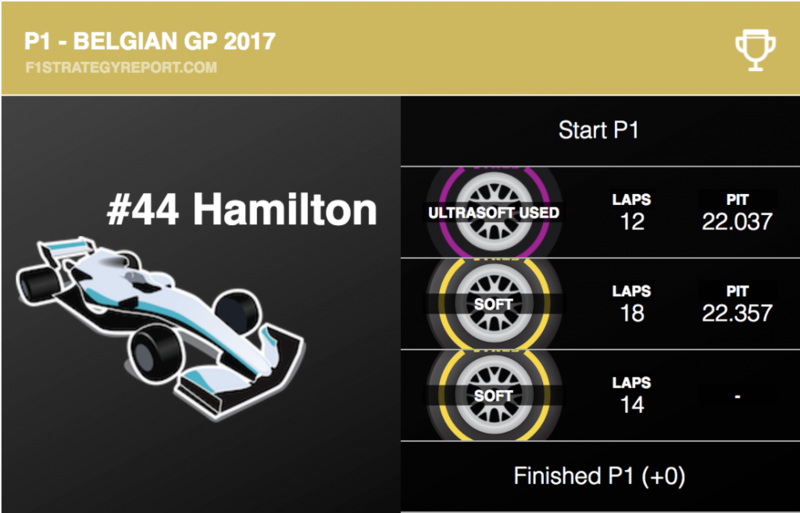 However, his stop wasn’t quite as quick as Hamilton’s, and strong outlaps from the Mercedes gave him a slightly increased advantage after the first round of stops. 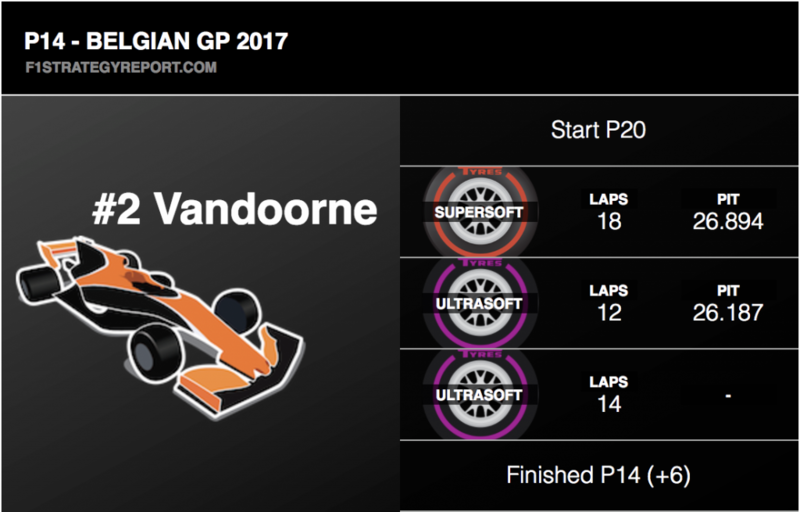 With both drivers going onto the soft tyre, it appeared they were going for a one-stop, which seemed to be the slightly quicker strategy. 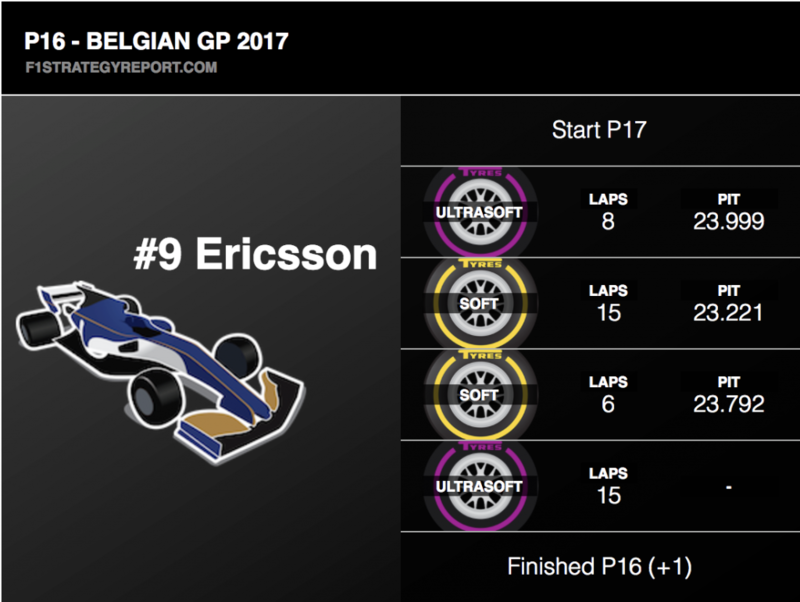 Interestingly, all three tyre compounds worked well at Spa, meaning all of them were used for the first stint. 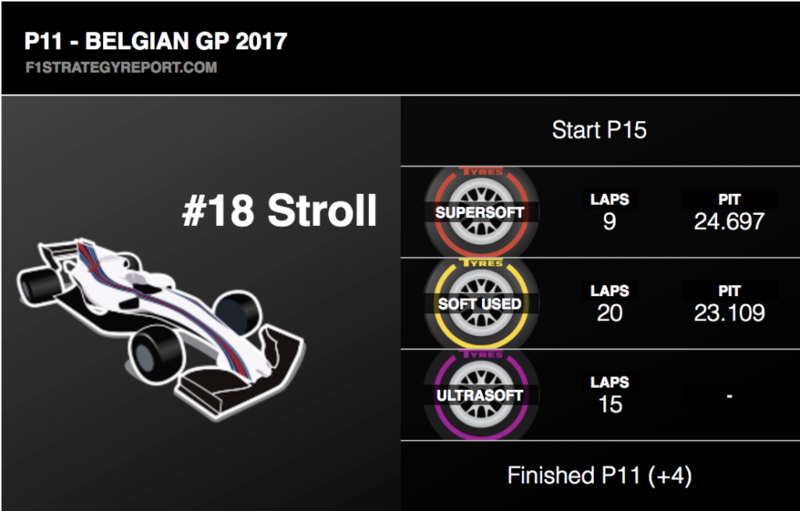 Pascal Wehrlein was the only driver to start on the softs but he retired early on, meaning we didn’t get to see what strategy Sauber were going for with that decision. Felipe Massa, Lance Stroll, Daniil Kvyat, Stoffel Vandoorne and Marcus Ericsson all opted for the super-soft tyres for the first stint, looking to go longer on the more durable and less grippy tyres. However, a few of them pitted before the ultra-soft runners. 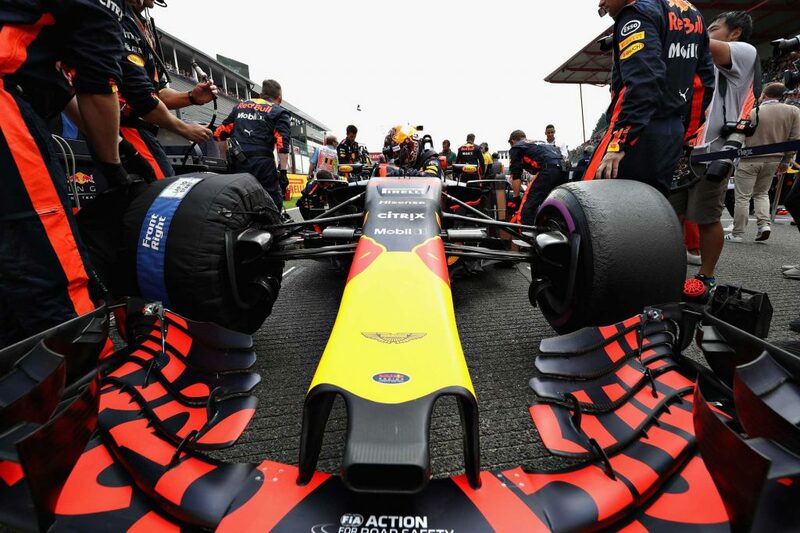 This was either because they expected a virtual safety car or safety car from Max Verstappen’s stopped car or wanted to ditch the super-softs, as they weren’t working as well as expected, and looked to go onto a different tyre. Kimi Raikkonen’s chance of a podium took a big hit with a 10-second stop/go penalty for failing to slow for yellow flags, when Verstappen retired. This cost him time and track position, which proved costly further down the line. 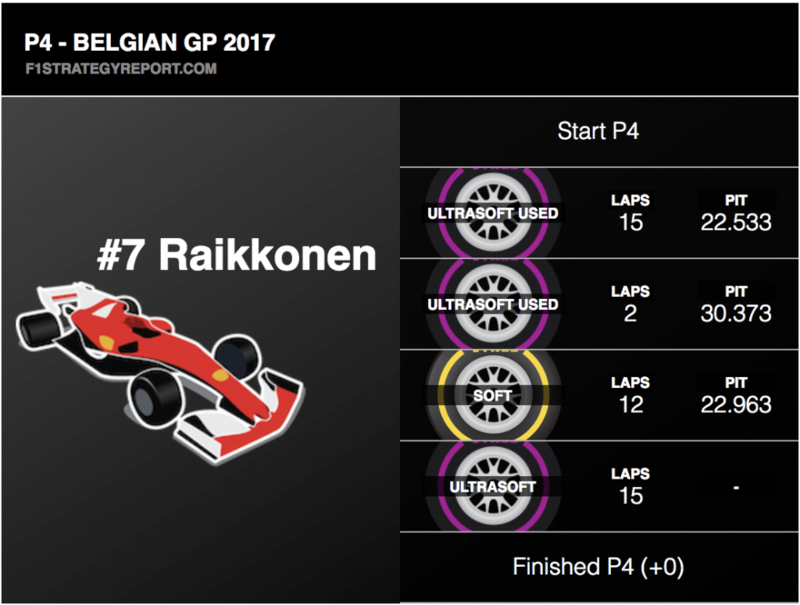 On the replays, it was clear Raikkonen failed to lift through the yellow flags, and Raikkonen had to serve the stop/go penalty on its own, as the team were expecting a one-stop race. Had he lifted under yellows, he would’ve been in a better position to score a podium. The deployment of the safety car proved to be perfectly-timed. 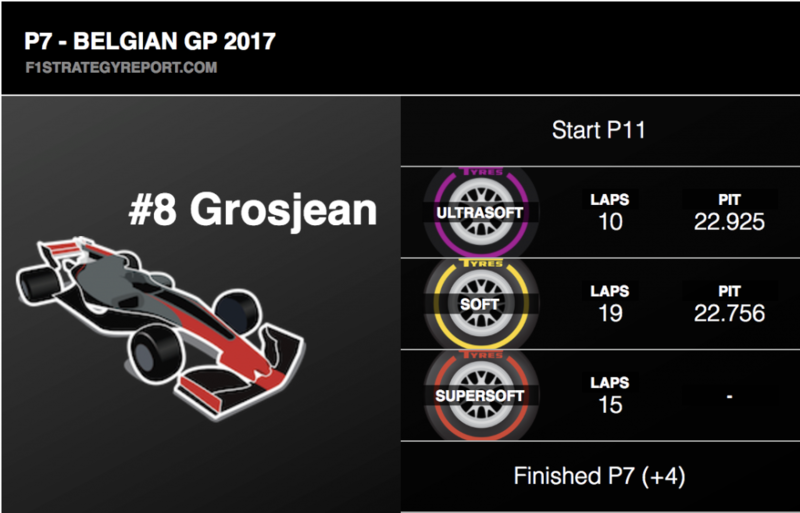 It was brought out due to the amount of debris from Sergio Perez and Esteban Ocon’s contact, at a pivotal time in the race. One-stoppers could effectively get a ‘free’ stop and avoid the possibility of degradation and wear at the end of their final stints. It came out at a prime time for those stopping for a second time, therefore fitting into their strategy and giving them a free stop too. So, it worked out quite well, although it didn’t particularly mix up the order. However, it did give us a fascinating prospect – a late sprint to the flag. All three tyre compounds appeared for this final stint, with the two leaders going for different strategies. Hamilton was on the softs, Vettel on the ultra-softs. 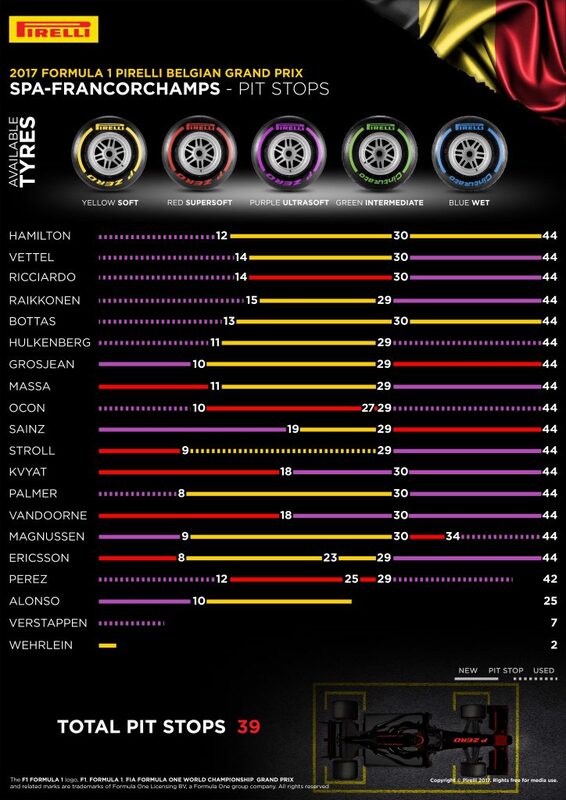 This gave Hamilton more tyre life, but Vettel had more performance and the threat of running out of tyres towards the end of the race. 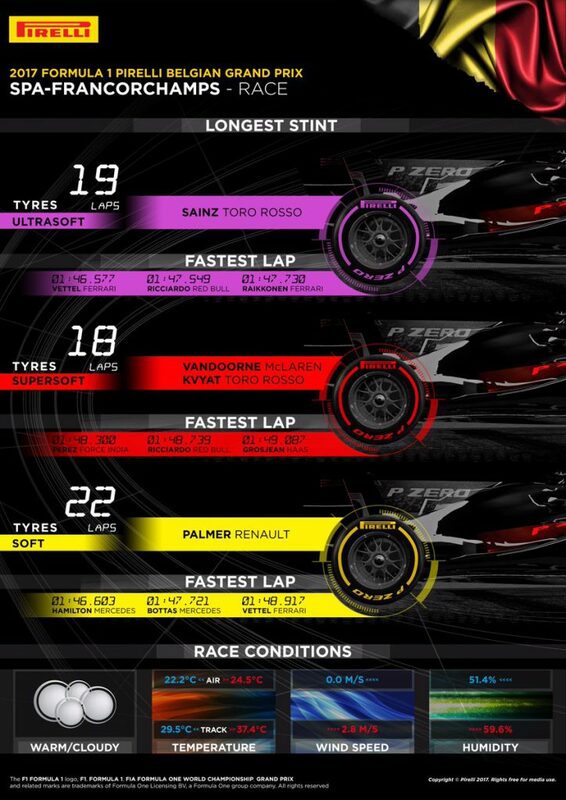 The ultra-soft was around one second quicker than the softs but Vettel couldn’t find a way through on Hamilton, and probably lost time trying to follow the Mercedes so closely. 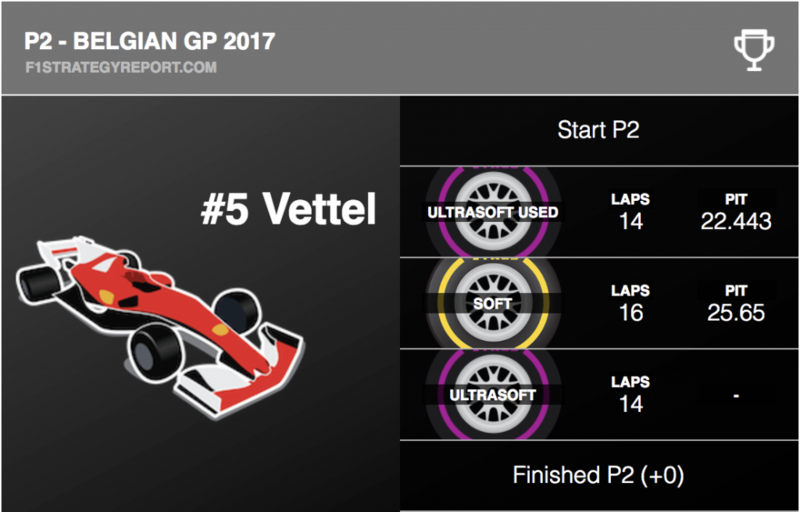 In the end, Vettel couldn’t get close enough, with Hamilton taking the win and Vettel fading slightly in the closing laps. 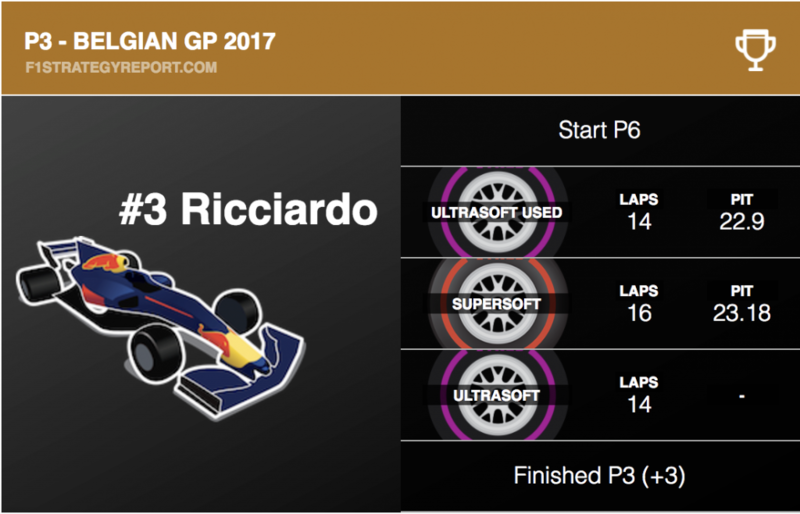 With Verstappen retiring, that left Daniel Ricciardo in fifth place. 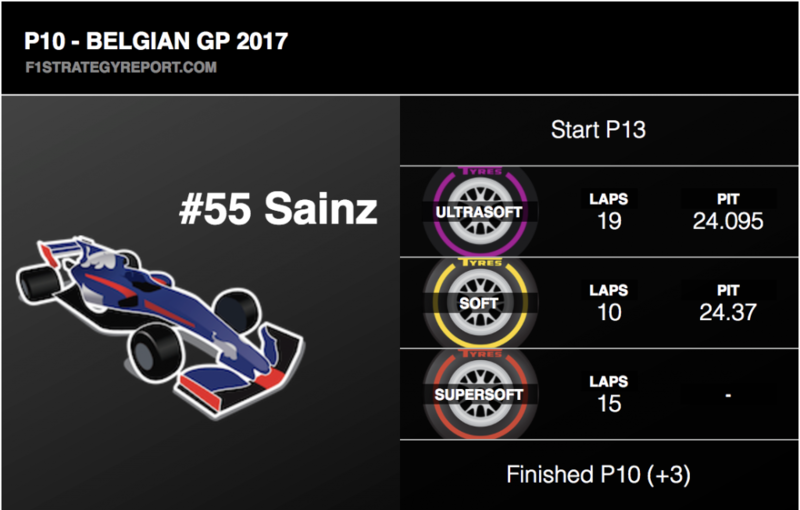 He moved up to fourth with Raikkonen’s stop/go penalty and went onto the super-softs for the second stint, clearly going for a two-stop. The safety car helped effectively give him that second stop for free. Red Bull gave him ultra-soft tyres for the last stint and this allowed him to attack on the restart, passing Valtteri Bottas for P3. The Mercedes ran wide and lost a place to Raikkonen as a result. Ricciardo’s fast reactions and speed on the restart proved pivotal in him scoring a podium. Force India’s two drivers had a messy race after colliding with each other twice. On the first lap, Sergio Perez was running alongside Nico Hulkenberg on the run to Eau Rouge when Esteban Ocon joined the party. Perez moved across and squeezed Ocon against the wall. 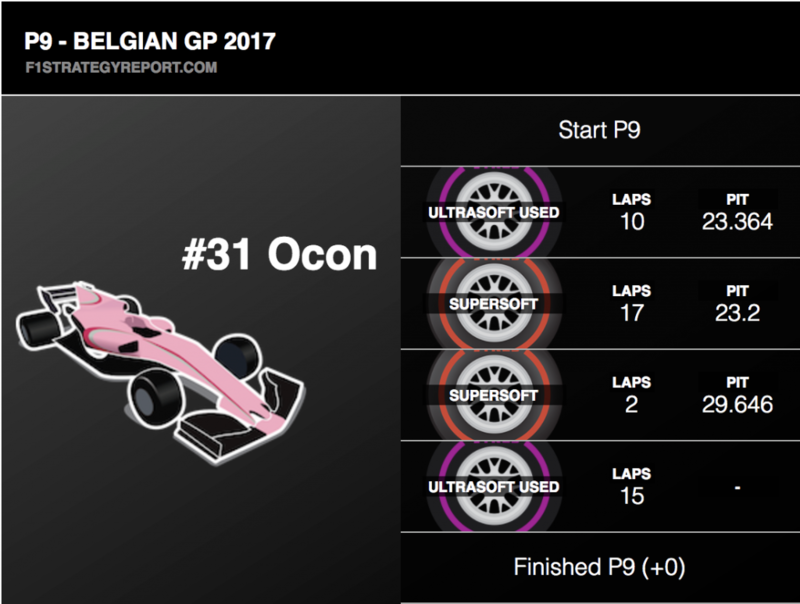 On lap 30, the two clashed at a similar point on the track, Ocon trying to make a move and Perez moving across. The resulting contact gave Perez a puncture and Ocon damaged his front wing, which the resulting safety car helped with. 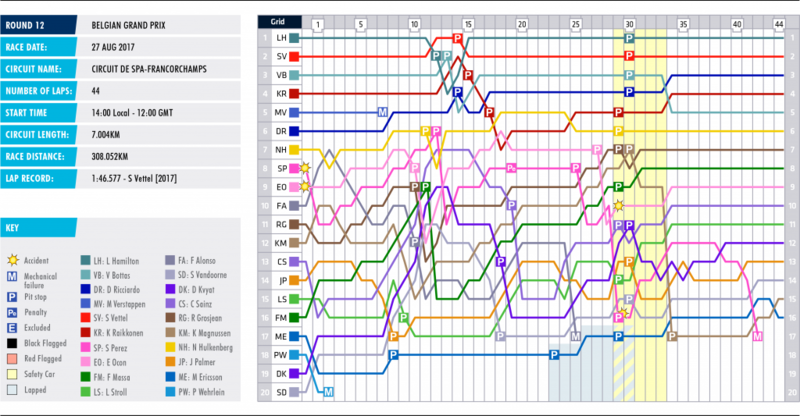 But, the clashes cost Force India a double points finish, as Ocon recovered to ninth and Perez was down in 17th. 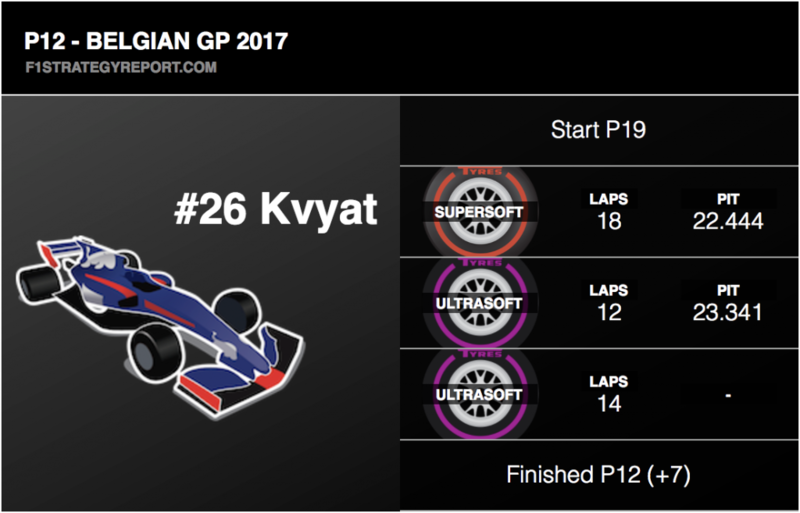 Both were running well within the top 10 at the time of the second clash.